The history of Katong is a story of luxury and wealth. Even the word “Katong” is a Malay word used to describe the beautiful sea mirage sometimes seen off its coastline. During the colonization era, Katong was mostly a weekend seaside retreat for the rich, but in the middle of the twentieth century it was redeveloped into a growing suburb with high-rise apartment buildings and flourishing businesses. Katong is famous for its unique architecture influenced by different cultures throughout history. Visitors can enjoy the unique blend of old European manors and villas, modern malls and offices. You will also find Peranakan terrace houses and temples, Chinese, British and Sikh architecture, sometimes all in the same street. Katong Park is a perfect getaway for families and tourists. Nestled between tall buildings, the park gives Katong a breath of fresh air. It features plenty of interesting sights and activities for children and adults such as the beach, the summer stage, playgrounds, dog walks, running paths and even a history tour including the excavation site of Fort Tanjong, a nineteenth century colonial fort rediscovered in 2001. The trip to Katong is not complete without visiting one of many great restaurants or food stalls and trying the unique Peranakan cuisine. Laksa, the world famous noodle soup sounds too adventurous for some at first, but the combination of fish gravy, coconut milk and dried shrimp is certain to have even the pickiest eaters asking for more. Katong offers a wide variety of activities and enables you to get lost in its beauty for days. Whether it’s relaxing amongst the park trees, strolling the beach or exploring the incredible blended culture of the local people – there is always something to do in Katong. Click the link below to find the best accommodation deals. 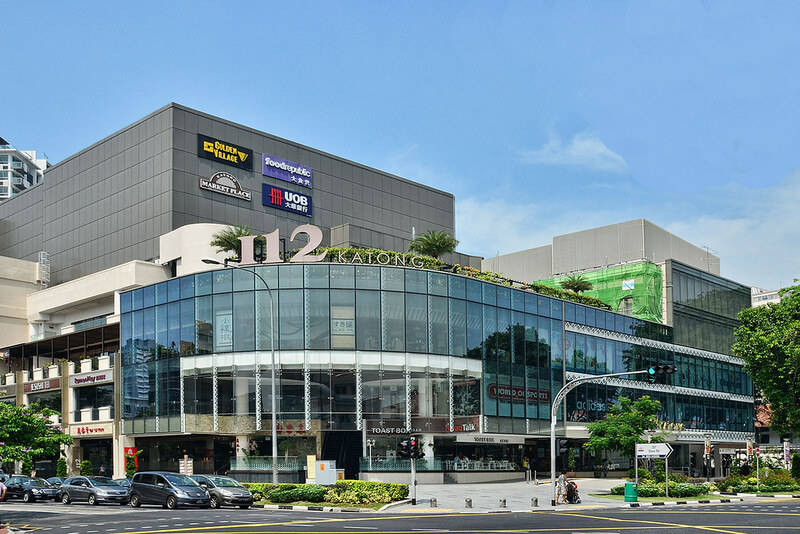 Katong is only 14kms from Changi Airport and can be reached easily by the MRT.